Industry research by UK’s largest high street insurance retailer reveals cost for men of insuring first car now twice the price of purchase. Following a successful trial, Swinton, the UK’s largest high street insurance retailer, has unveiled a six month introductory policy for first-time drivers that will slash their car insurance premiums by up to a third. Motorists getting behind the wheel for the first time are now able to purchase half a year’s trial insurance at a discounted rate from any of Swinton’s 470 UK branches. * If the driver doesn’t make a claim during that first six months, Swinton will then offer the driver up to 30% off their first full year’s cover. 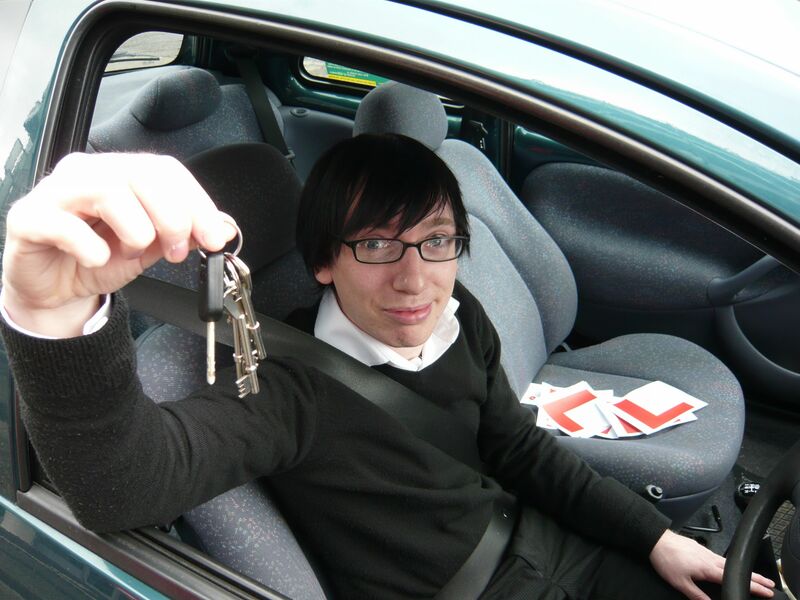 The new scheme for young drivers has launched with Swinton also revealing that premiums for first-time male drivers have rocketed to new heights. Swinton’s figures show that the average amount spent on a car by first time drivers is £1,290 – but for a young man looking to insure a typical vehicle of this value, the average premium cost is now more than double. In addition to its six months introductory scheme, Swinton recommends that young drivers take a Pass Plus test and add a parent to their policy if possible to bring premiums down even further. With a full discount, Swinton was able to reduce the above premium to just £1,477.04 – an industry saving of 46%. For an 18 year old female first-time driver with the same criteria, Swinton was able to reduce the premium from an industry average of £1,551.35 to £836.33. Steve Chelton, of Swinton’s insurer development team, said: “It is scandalous that first time premiums have reached such a high level – and it’s not good enough to simply price a generation of young motorists off the road. The cost has reached the point where young men and women can’t afford to drive, or choose to do so illegally without insurance. Swinton’s research also found that an 18 year old woman would pay an average of £950 less than a man for insurance on the same first car (£1,551.35 compared to £2,742.48). And although older first time drivers can expect to pay less, Swinton found that a 23 year old man would still have to pay an average insurance premium in excess of £1,200 with the UK’s leading insurers (£1,293.79). A 23 year old woman driving for the first time would have to pay £854.48. For more information on the 6 month scheme, and any other insurance relates enquiries customers are advised to telephone Swinton on 0800 412 412 or pop into one of the 470 branches spread throughout the UK. *For the case studies discussed within the press release, the cost of the six month introductory policy would be £1,124.55 for the 18 year old man and £617.09 for the 18 year old woman. **Swinton sourced insurance premium quotes from 12 leading UK insurance providers for 18, 20 and 23 yr old men and women with no claims or driving history, B91 midlands postcodes, for third party cover on an eight year old, street parked, Peugot 106 of manufacture spec valued at £1300 doing 8,000 miles per year. Details of the results are available on request. •	With a dedicated team of advisors on hand at every branch to search a panel of insurers to offer quality cover at competitive rates.